Sol Wachtler was born on April 29, 1930, the second son of traveling auctioneer Philip Wachtler and his wife Fay. Judge Wachtler grew up primarily in the rural South. In 1947, Wachtler entered Washington and Lee University in Lexington, Virginia, graduating from its liberal arts and law school. He gave early indications of his leadership when elected President of the law school body and to Order of the Coif, with honors upon graduation. After finishing law school, Wachtler married Joan Wolosoff, a graduate of Sarah Lawrence college. He then volunteered for the Army and served for two years during the Korean War in the Provost Marshal Center in charge of its Courts and Boards Section and as an instructor of military law. Upon his discharge from the Army, Wachtler opened his law practice in Mineola, New York, where one of his associates was Frank X. Altimari, a future United States Circuit Court Judge for the Second Circuit. In 1963, Wachtler was elected Councilman, and in 1965 Supervisor of The Town of North Hempstead, the third largest township in Nassau County. As Town Supervisor he established the first town low income housing in the state, dedicated parks, and initiated two urban renewal projects. He was the first public official to insist on breaking the color barrier in the town's volunteer fire departments. His bold initiatives were not appreciated by all of his suburban constituents, but even his adversaries admired his courage and commitment. In 1967, the Republicans were looking for a candidate to oppose the deservedly popular Democratic County Executive Eugene Nickerson. Wachtler was sought out by Governor Nelson Rockefeller, who prevailed upon him to run. The subsequent campaign was so spirited, uplifting, and fairly fought that it became the subject of a prime time television documentary("Campaign American Style"). That documentary is still shown in classrooms throughout the country. Much to everyone's surprise, the charismatic Wachtler's hard fought campaign brought him within 2,000 votes of beating Nickerson. The two men remained friends and supported each other for life. 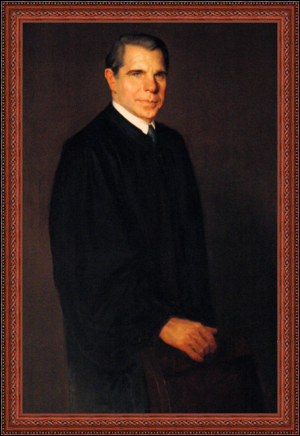 In 1968, Governor Nelson Rockefeller appointed Judge Wachtler to the State Supreme Court. Everyone was certain that the appointment would be only a way station on the way to a run for Governor for the handsome, bright protege of Governor Rockefeller. But Judge Wachtler applied himself diligently to his judicial duties and wrote some nationally recognized opinions such as Jones v. Star Credit Corp.1 which the gold standard of hornbooks on the Uniform Commercial Code used as a student study on the issue of "unconscionability" in commercial dealings. In the national election year of 1972, there were three openings in the New York Court of Appeals. At that time, the Judges of the Court were elected statewide. The Democrats and Republicans had struck a deal to name two Democrats and one Republican to the vacancies. At the last minute, the Democratic leadership decided it was needlessly passing up an opportunity to take all three seats. In the ensuing scramble to pick candidates, there was only one line left when the dust settled, by far the least desirable line of the six candidates . . . Republican/Liberal, combining the minority major party with the minority minor party. Governor Rockefeller steered the empty position to Judge Wachtler, thinking that even though he could not win, the statewide exposure would help him in the future. Judge Wachtler defied the odds and was elected, along with Judges Dominick Gabrielli and Hugh Jones, the two other Republicans. At the age of 42, Sol Wachtler was thought to be the youngest Judge ever to sit on the state's highest court. As an Associate Judge and later as Chief Judge, Judge Wachtler's writings reflected and then led the New York Court of Appeals in what could be described as a robust centrism. His decisions and those of the Court in general were marked more by a concern for detailed logic and analysis than for a fortiori decisions that claimed to have arisen ineluctably from a long historical analysis of the subject matter. Nobody ever made money betting on the outcome of cases from the Court during his era as Chief. Whatever ideology each Judge held in his or her private life was subordinated to an impartial judicial analysis as the cases came before the Court. Nowhere was the Wachtler robust centrism twined with cogent logic and analysis more evident than in the dual cases of People v. DeBour and LaPene.4 In DeBour, a search was upheld as reasonable because the request by the police officer for identification was limited in scope and intensity, while in LaPene, the search was ruled to be unlawful because the stop, based on an anonymous tip, was intrusive (pulling a gun) and could have been preceded by reasonable less intrusive questioning. The application of detailed analysis and logic in these decisions was relentless, and the results were ideologically inconsistent, all hallmarks of the Wachtler judicial style. Although neither Judge Wachtler nor the Court of which he was Chief was an activist one that eagerly reached out to break new ground, the judges did not shy away from novel or difficult issues. One of the most important of these cases involved the so-called "right to die" issue. When could a third-party substitute his or her judgment regarding what medical treatment should be given to a patient who was no longer capable of making decisions? The cases of Matter of Storar and Matter of Eichner5 were pioneering cases. The problem was that, to rephrase an old aphorism, technology has already run clear around the world before judicial constructs and ethical analysis have even had the chance to lace up their shoes. Technology had so far outrun ethical and legislative analyses of it that it often fell to the courts to decide how to tether technology to our legal and ethical concepts. Nowhere was this done better than in the "right to die" cases authored by Judge Wachtler which determined that there had to be clear and convincing evidence that a third party was accurately reflecting the desires of the patient when a decision was made about whether to withhold various types of life extending treatment from a patient. When the same issue reached the United States Supreme Court in a case that roiled the nation, the Supreme Court adopted the "clear and convincing" standard specifically citing the Wachtler decisions. While he was an Associate Judge, Sol Wachtler's growing reputation as a brilliant public speaker and almost unparalleled humorist made him in such demand that he was asked to share the podium with Governor Carey, Congresswoman Bella Abzug, and several other famous people at the coveted State Legislative Correspondents' Association dinner, a distinction never before accorded a jurist. Newsday summed up the evening with the headline, "A Judge Steals the Show." An inquiring reporter for The New York Times called Sol Wachtler's neighbor, comedian Alan King, to ask him if he had written Wachtler's material. He hadn't. Soon newspapers were reporting that legendary public speaker Mario Cuomo would not share a rostrum with Judge Wachtler for fear of being upstaged in humor and equaled in rhetoric. Hence, when the Democrat Governor Mario Cuomo appointed the Republican Sol Wachtler to the Chief Judgeship of the New York Court of Appeals, there were immediate rumors of an undisclosed bargain, that in return for the Chief Judgeship Sol Wachtler would not run against Mario Cuomo for Governor. In most states, the Chief Judgeship was mostly a ceremonial position which gave some added influence to the Chief over case assignments and other business of the states' highest court. In New York, the Chief Judge has the additional Constitutional title and power of Chief Judge of the State of New York. The office carries with it administrative authority over the entire court system including coveted appointments. Many people could not believe that Governor Cuomo would give the job he himself admitted he would trade for the Governorship to a Republican solely on merit. They concluded that there must be a deal in there somewhere. Those people greatly underestimated the integrity of Governor Cuomo. But it was not until word began to leak out in mid 1992 that Judge Wachtler intended to leave the bench to challenge Governor Cuomo in 1994, that the rumor of some sort of 20th century version of the 1824 "corrupt bargain" between John Quincy Adams and Henry Clay was finally put to rest. It did not take Chief Judge Wachtler long to demonstrate the bold administrative activism that he had displayed as Town Supervisor many years earlier. One of his very first actions as Chief Judge was to switch from a central calendar system (where different judges were assigned to pieces of a case as it went along on an ad hoc basis) to an Individual Assignment System where the courts would adhere as closely as possible to a "one judge one case" system. The new IAS system encountered fierce opposition from many entrenched judges and connected lawyers who knew that the IAS would strip many local administrative judges of the coveted power of assignment. The goal of Chief Judge Wachtler, however, was to streamline the system, and the IAS worked well in accomplishing that goal. When the crack epidemic of the mid 1980s threatened to collapse the legal system, one lifeline that kept it afloat was the streamlining effect of the IAS system. Still, as the Duke of Wellington said about the Battle of Waterloo, it was a near run thing. Chief Judge Wachtler had to spend every available weekend, vacation day, and evening traveling throughout the state trying to get funding for an overloaded small claims court here or to confer with an administrative judge about a civil case backlog there. The "crack" caseload dropped on an underfunded and overworked judicial system, and Chief Judge Wachtler had to call on all of his administrative abilities and power of persuasion to pull the court system through. Chief Judge Wachtler did not single handedly save the court system, but it is hard to imagine a better person to be in charge during those parlous times of the mid 1980s. Chief Judge Wachtler also took advantage of his new position of power to push forward on two issues he had been lobbying for from the first day he ascended the bench, making the courts more user-friendly to the women and minority members who used the judicial system or were part of it. He saw to it that the completion of the work of the Commission on Gender Bias, initiated by his predecessor Judge Lawrence H. CookeCwas funded and, when the Commission made its report, he appointed a committee for the full implementation of the Commission's recommendations. He also appointed a Commission for Minority Concerns and The Permanent Commission for Justice for Children. He made it known by words and deeds that he wanted the New York State court system to be the model for the country regarding the fair treatment of women, children, and minorities. Legislatively, Chief Judge Wachtler successfully argued for a Constitutional Amendment allowing the New York Court of Appeals to become a certiorari court and to address certified questions from federal courts. Narrowing the appeals as of right to the New York Court of Appeals not only reduced the caseload but allowed the Court to focus on important cases only. In the past, when a mere reversal of a trial judge by the appellate court resulted in an appeal as of right to the New York Court of Appeals, a hand full of sometimes misguided trial judges, could account for a significant portion of the Court of Appeals docket, often involving cases of no real legal importance. Chief Judge Wachtler also sponsored legislation that allowed much of the crumbling courthouse infrastructure to be rebuilt or repaired. The State of the Judiciary message delivered by the Chief Judge to both houses of the legislature was also a Wachtler innovation. Others of his projects, such as the establishment of commercial courts, and local community courts were begun during his tenure as Chief Judge. His Chief Judgeship was underlined by many community awards as well as 13 honorary doctoral degrees presented to him by universities across the nation. Perhaps the most publicized action of the Wachtler Chief Judgeship was his unprecedented lawsuit against Governor Cuomo when the Governor reduced the court budget which Chief Judge Wachtler stated unconstitutionally encroached on legislative territory. After much spirited and sometimes acrimonious public clashes between the old friends Governor Cuomo and Chief Judge Wachtler, the case was amicably settled and the Courts' budget was restored. Courts which were forced to close were reopened. During his tenure as Chief Judge, Judge Wachtler was fortunate to be aided by his three superb appointments as Chief Administrators, Joseph Bellacosa, Albert Rosenblatt, and Matt Crosson. The former two of the Administrators were later to be elevated to be Judges on the Court of Appeals where they proved as adept as judges as they were as administrators. As 1992 drew to a close, Chief Judge Wachtler no longer issued terse denials when asked if he would challenge Governor Cuomo in the 1994 Gubernatorial election. Most pundits thought Chief Judge Wachtler would unseat the Governor and gain such plaudits for doing so, which he would immediately make himself an almost perfect choice for Vice President on the Republican national ticket. As one commentator noted, "the first woman or Jewish Vice President or President will likely have to be a Republican for precisely the same reason that only Nixon could have gone to China." But what one newspaper called the "much anticipated clash of the titans" was never to be. On November 7, 1992, FBI Agents arrested Chief Judge Wachtler on charges relating to the harassment and threatening of his former lover. Shortly after newspapers around the country carried front page news of the arrest, a close friend of his was quoted in the New York Times as saying that he would have been less shocked if he had found out that the sainted Mother Teresa was a serial killer.7 There are some famous figures whose fall is a matter of when, not if. But there was never even a hint of scandal or impropriety about Judge Wachtler. What particularly frightened people was that the man who seemed so in control of everything within himself and within his reach was so out of control. The immediate problem facing the Court was the flood of motions for rehearings on cases in which Judge Wachtler had participated. The newspapers were filled by reports of government and defense doctors finding that Judge Wachtler was suffering from manic-depression - a bipolar disorder. When signs of his pending mental crisis emerged, and ignoring his wife's urging, Wachtler would not see a psychiatrist. He had resisted going to a psychiatrist for fear of it becoming public and destroying his political future. So, he medicated himself with a dangerous mixture of prescribed drugs which only exacerbated the manic phase of his bipolar disorder. Motions and letters flooding the Court demanded new hearings based on the allegation that Judge Wachtler's mental illness should nullify any decision in which he took part. Judge Wachtler's attorney knew that the sharpest arrow in his quiver was the threat of mounting an insanity defense. Whether or not it would really be used, it provided the only real leverage the Judge had in plea negotiations. The problem was that as each day dragged on, the potential damage to the state court system mounted. When he was made aware of the motions filed at the New York Court of Appeals, Judge Wachtler ordered his attorney to announce that there would be no claim of insanity or temporary insanity, that his mental illness was no excuse for his actions. He knew that what he had done was wrong and that he would take whatever punishment was meted out. Most of the public assumed that Judge Wachtler spent his one year of prison time where most "white collar" defendants spent their time, at the so-called Club Fed prisons. In fact, Judge Wachtler was sent to mental health units at tough, secure facilities in the federal system. His days of confinement were marked with time spent in solitary confinement allegedly for his own safety after being stabbed by another inmate. Judge Wachtler's friends became alarmed when a friend received a letter from him stating that he was completely different from the other inmates at Butner Prison. "Grandiosity" was a symptom of an out of control bipolar disorder, and it could prove fatally dangerous in a prison filled with the toughest inmates. When a friend finally got a pre-screened call through to Judge Wachtler, and demanded to know what he meant by saying he was different from all of the inmates in the prison, Judge Wachtler replied, "I took a survey of all of the inmates here, and I seem to be the only guilty person in the whole place." His friends were relieved that he had not lost the one personality trait that could allow him to survive his imprisonment - his unmatched sense of humor. Upon release from prison, Judge Wachtler established a successful mediation service where the most implacable adversaries knew they would receive a fair hearing. Soon thereafter, Judge Wachtler became a popular professor of constitutional law at Touro Law School. In connection with Touro, in 2002 Judge Wachtler chaired the International Wannsee Seminar in Berlin where the attendees studied the role of the German legal profession in supporting Nazi Germany. He also found time to author pieces for various newspapers and The New Yorker magazine. Blood Brothers, a novel he co-wrote with his friend and former law clerk, David Gould, garnered uniformly favorable reviews and resulted in a book tour that attracted crowds as much for the humorous ripostes of the authors as for the book itself. But closest to Judge Wachtler's heart after his release from prison was his work on behalf of the mentally ill. His book about his own mental illness, After the Madness, was adopted as a must-read by countless mental health advocacy organizations as well as some law schools. Judge Wachtler toured the country speaking to groups concerned with mental health and receiving many awards for such work. After Judge Wachtler pleaded guilty to a federal crime and was sentenced to serve a year in prison, Governor Cuomo implored the public to remember that Judge Wachtler's criminal behavior was just one page in a very large book. However, for better of for worse, the measure of the man in American life has usually been the one piece of anomalous behavior not the life's work of good behavior. Judge Wachtler was well aware that one weed can often cast a shadow over acres of fecund crops. When he was an Associate Judge, he had given a speech in which he stated that any prosecutor who wanted to could get a Grand Jury to indict a ham sandwich. The statement became so much a part of the American lexicon that Tom Wolfe quoted the statement and its author in his best-selling book, The Bonfire of The Vanities. After Judge Wachtler was released from prison, he told an audience at a speech he gave that before his arrest, he was always worried that the "ham sandwich" statement would be the only thing for which he would be remembered. Now, he said, he wishes that the quote would be the only thing for which he would be remembered. Judge Wachtler feared that his personal legacy would be that he would be remembered more for the one isolated crime he committed against the commonweal than for his lifetime of contributions to it. When Judge Wachtler was arrested and later convicted of a crime, his greatest fear was the effect his actions would have on the Court and the court system which he so loved. Yet, as it turned out, the damage from the Wachtler conviction was so slight as to be hardly detectable. It seemed strange that in a Zeitgeist redolent of public cynicism so deep that the reputation of even professions and institutions that used to be revered had plummeted in polls, the New York public would not affix vicarious liability on the judiciary for the criminal conduct of its most prominent and powerful member. There appeared to be three reasons that explain why the condemnation of Judge Wachtler at the time of his arrest did not bleed over onto the Court he personified. First, Judge Wachtler did not commit crimes of corruption. He did not take bribes or even commit any ethical transgression arising directly out of his work as a judge or as Chief Judge. Since Judge Wachtler's crime had no connection to his work, the public was less likely to blame the Courts for his transgressions. Second, at a time when the court system could have tipped in any direction, Governor Cuomo had the good sense to name Judith S. Kaye Chief Judge. Judge Kaye's impeccable integrity, strong leadership, and impressive image to the public were essential in steadying the Court just when it was at its most unstable condition. With Chief Judge Kaye's hand firmly on the tiller of the ship, she was able to steer it successfully through the hazardous whitewater generated by the Wachtler "scandal." Third, any great institution whose revered chief was brought down by his own criminal conduct would be shaken to its very foundations. Whether or not irreparable damage would result to the institutional structure would depend on the strength of the foundation. Thanks to a series of extremely effective Chief and Associate Judges, including ironically, Judge Wachtler himself, the foundation of the Court had accreted with such strength over time, that it was able to absorb this direct hit with little damage. Judge Wachtler's contribution to the state court system will be everlasting but silent. Opening up the court system up to women and minorities, streamlining the court system, and his many other administrative contributions will affect the functioning of the court system and its public image far into the future. The contributions, though, will be silent and anonymous because Chief Judges' contributions, no matter how great their effect, tend to be forgotten over time. Generations from now, who will remember that the pre-eminent position the New York Court of Appeals holds among state courts derives at least in part from the nationwide scholarly reputation that Chief Judge Fuld engendered? Even one generation from now, who will remember the invaluable and almost unfathomable sacrifice made by Chief Judge Kaye when she turned down an almost certain nomination for the United States Supreme Court so she could remain at the helm of the Court of the Appeals in its time of need? Doubtless, neither of those crucial contributions among many more from many Chief Judges will be remembered into the future. Judge Wachtler's legacy of contributions to the court system qua Chief Judge will be long felt and quickly forgotten. In a superb article by John R. Bunker in the Syracuse Law Review,8 written more than a decade after Judge Wachtler's arrest, the author stated that Judge Wachtler's legal writings put him in "select company in the state's rich judicial history." Having taken part in more than 11,000 Court of Appeals decisions, Judge Wachtler's judicial legacy is bound to be felt every day in virtually every courtroom in the state. But this legacy too, must be a silent one. Over time, with rare exceptions, cases become well known for their effect and substance but rarely for their authors. Who knows what Judge Wachtler's publicly known legacy could have been absent his aberrant conduct? He was the rare person who had the deserved public image of being kind to everyone around him, extremely intelligent, a brilliant public speaker with an unmatched sense of humor, charismatic to a fault, and the administrative ability and boldness to get things done. He seemed almost too perfect, which is why the exposure of a gross imperfection in his persona so shocked the public. It may be greatly unjust that Judge Wachtler will forever be known more for his one misdeed than for his lifetime of good deeds. But if it is an injustice, Judge Wachtler would be the first to concede that it is an injustice that was self-inflicted. In some ways, then, Judge Wachtler is the poster boy for the famous statement of President Kennedy that life isn't fair. Judge Wachtler's lifetime contributions to public service should not be suffocated by his one piece of non-lethal reckless criminal behavior. In his revealing book, After the Madness, Judge Wachtler attempts to restore a more balanced assessment to his life without trying to minimize the nature and effect of the crime he committed. But Judge Wachtler will never be in a position to restore his legacy to a fair and proper balance. Perhaps it must be left to future Chief Judges to make sure that Judge Wachtler gets his proper due as regards both his isolated inexcusable actions and his decades long major contributions to the Court of Appeals and state court system that meant so much to him. Judge Wachtler has three daughters and one son, Lauren Wachtler Montclare, an attorney, Marjorie Wachtler Eagan, a docent at the Metropolitan Museum of Art, Alison Wachtler Braunstein, an actress and model, and Philip Wachtler, a real estate executive. Judge Wachtler also has eight grandchildren. This biography appears in The Judges of the New York Court of Appeals: A Biographical History, ed. Hon. Albert M. Rosenblatt (New York: Fordham University Press, 2007). It has not been updated since publication. A Nation of Laws?, Litig. (A.B.A., Summer 2000). Remarks of Former Chief Judge Sol Wachtler, N.Y. St. B.A. Crim. Just. J. (Summer 2000). A Former Chief Judge Speaks Out About the Federal Sentencing Guidelines, Fed. Law. (May 1999). Et Tu Judge Bork? Will Solipsism Destroy Conservative Ideology, 15 Touro L. Rev. 1 (1998) (with David S. Gould). Crime and Punishment, The New Yorker (July 15, 1996). Foreword, 43 Syracuse L. Rev. 1 (1992). A Tribute to Justice Michael F. Dillon, 40 Buff. L. Rev. vii (1992) (with Mario M. Cuomo, Richard D. Simons & M. Dolores Denman). Symposium on Mandatory Pro Bono: Introduction, 19 Hofstra L. Rev. 739 (1991). Judging the Ninth Amendment, 59 Fordham L. Rev. 597 (1991). Introduction, 19 Fordham Urb. L.J. 175 (1991). The Patient's Right to Decline Medical Treatment: The New York View, 7 J. Contemp. Health L. & Pol'y 9 (1991). Judicial Lawmaking, 65 N.Y.U. L. Rev. 1 (1990). The State of the Judiciary: A Bicentennial Message, N.Y. St. B.J. (July 1987). A Tribute to Chief Judge Charles S. Desmond, 36 Buff. L. Rev. 1 (1987) (with Mario M. Cuomo, William J. Brennan & Stanley H. Fuld). Our Constitutions - Alive and Well, 61 St. John's L. Rev. 381 (1987). If Not Lovers, at Least We Can Be Friends, 8 Comm. & L. 39 (1986). The Lady in the Harbor and the Lady in Albany - Two Symbols of Freedom, 15 Fordham Urb. L.J. 3 (1986). A Tribute to Judge Matthew J. Jasen, 35 Buff. L. Rev. 1 (1986) (with Victor E. Manz, Charles D. Breitel & Hugh R. Jones). Stare Decisis and a Changing New York Court of Appeals, 59 St. John's L. Rev. 445 (1985). Even If You Think Your Client Will Win, You May Have the Responsibility to Urge Settlement Anyway, 6 Hofstra L. Rev. 745 (1978). A Trial Judge's View of Trial Technique, 5 New Eng. L. Rev. 51 (1969). For a brilliantly written and fair and balanced analysis of Judge Wachtler's professional life, read King of the Mountain, by John Caher (Promotheus Books, 1998). For a fascinating read about Judge Wachtler's prison experience and fight against bipolar mental disorder, read After the Madness, by Sol Wachtler (Random House, 1996). For a much praised, fun read involving what critics have called gripping and educational trial scenes, read Blood Brothers, by Sol Wachtler and David Gould (New Millennium, 2003). And for an excellent catalog of Chief Judge Wachtler's administrative accomplishments, read the State of the Judiciary Messages 1985-1991. 43 NY2d 370 (1977), aff'd 443 US 368 (1979). Matter of Storar, 52 NY2d 363 (1981). Justice on Trial, New York Times, Nov. 18, 1992, at A27. New York Times, Nov 11, 1992, at A1. For a superb survey of the Wachtler judicial writings, read J. Bunker., You Could Look It Up: The Judicial Opinions of Sol Wachtler, 52 Syracuse L. Rev. 847 (2002).